Spotted in Atlanta by my sister. Also, am I the only one who sees John Lennon in the one headlight? Anyone? Anyone? Zober? OH.MY.GOD. That looks like so much fun. And that’s creepy… the face in the mirror. I think maybe Bob Dylan? that’s totally creepy. I saw it before I read that you saw it too. Cool ride. Haunted, but cool. 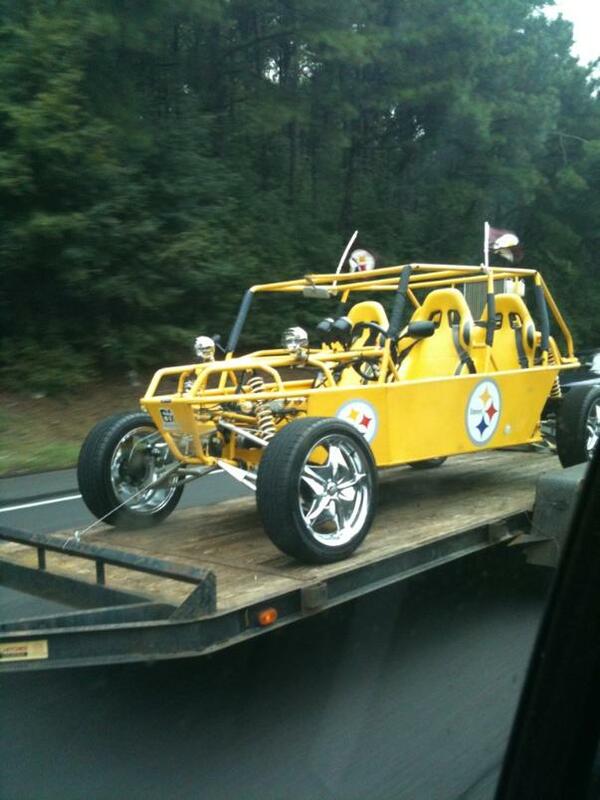 Yes I do see Mr. Lennon – and if I squint real hard can see him wearing Steeler stuff. First I didn’t see anything, then I looked again, and wow! That’s amazing!